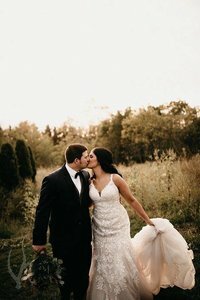 a boutique filled with sparkle, lace, and smiles! We are so glad you are here! You are visiting us at the perfect time! 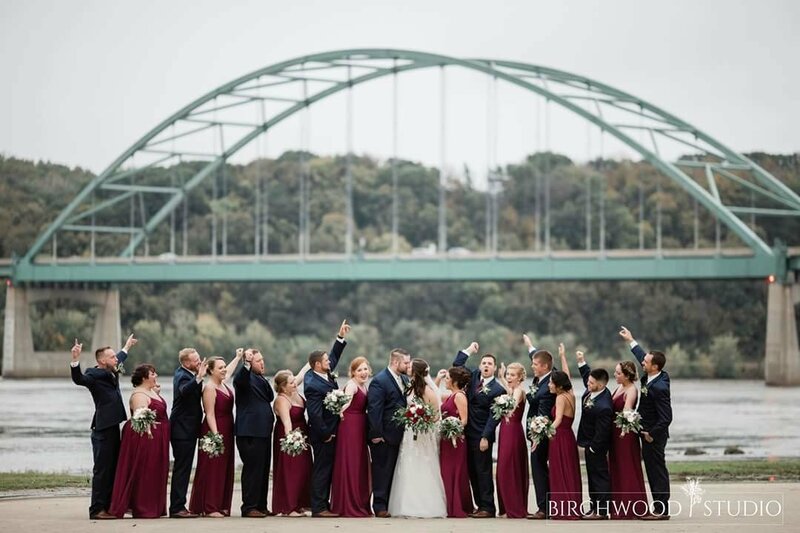 Julie's Bridal Gallery just recently moved from our downtown location to a new, private location we now call home! It's truly something you have to see in person. Our store is filled with so much sparkle and lace! Be sure to check out our reviews, Facebook, and even Instagram. You’ll be warmly greeted by one of our professional and courteous bridal stylists. 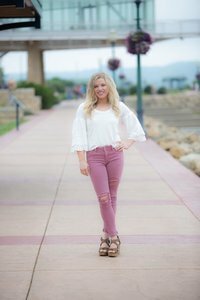 Once you have completed your bridal consultation form, your bridal stylist will use this information to get a sense of your personal style and how you would like to look on your special day. Your bridal stylist will then assist you and your guests to your own private viewing area. The stylist will sit down with you and ask you all about your wedding and what your vision is. Next, we will introduce you to the different silhouettes and fabric of the wedding gowns we have. Now begins the fun part! You get to decide which dresses you would like to try on and we will help you change into them and select the one that you like the best! Our staff are here to help you make your decision. During your appointment, you will be helped into the gowns you chose and can take your time to study how you look and feel in the gown. Your stylists will have you walk in each of the dresses, and sit in them to determine how they feel on. 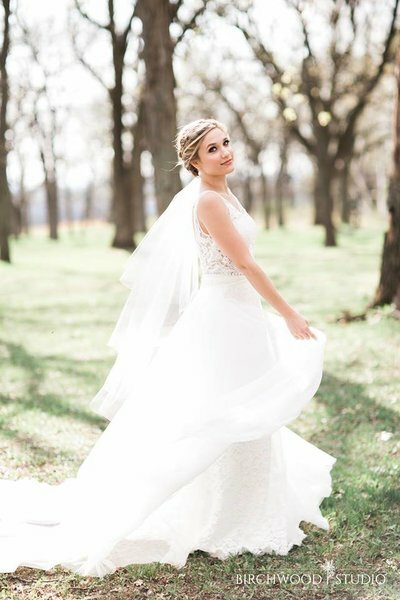 Once you have narrowed down to 3 of your FAVORITE dresses, the stylist will have you put each of them back on and complete each look with a beautiful veil and some amazing accessories for the finishing touches. 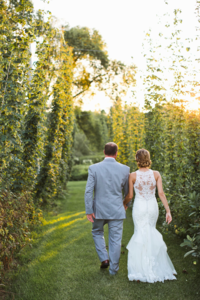 Take a deep breath in each of your favorite gowns and try to picture yourself walking down the aisle in each of the dresses. Compare what you like differently about each one, and which dress TOPS the other! 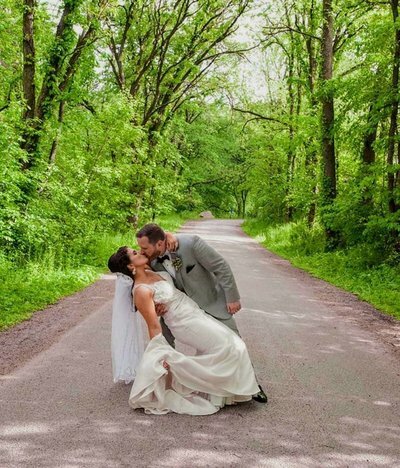 Once you’ve found a gown that is everything you have imagined, smile and relax—you’ve done it, Congratulations on saying YES to the DRESS at Julies Bridal Gallery! Wife, and mother of two boys! From start to finish, I love working with all our wedding parties and helping them complete their looks. Julie's mother! Helping mom's find the perfect dress for their son/daughters wedding is an absolute joy; I love helping them find the perfect gown! Going to Julie’s was one of the best decisions I’ve ever made! 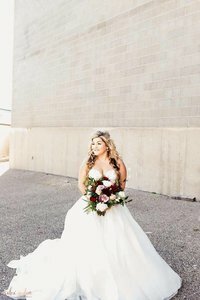 I decided early on I would not go to any large chain for my dress, I wanted it to be somewhere in a nice little town with amazing people. I found all of that and then some with Julie’s bridal. It was a one and done. It was my first stop and my only I love it that much. Still if I call with questions or to set up appointments for dress/tux fittings they are always so amazing and helpful! 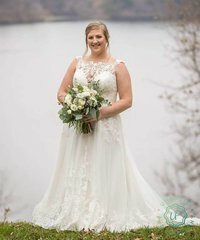 I will forever rave about Julie’s bridal! 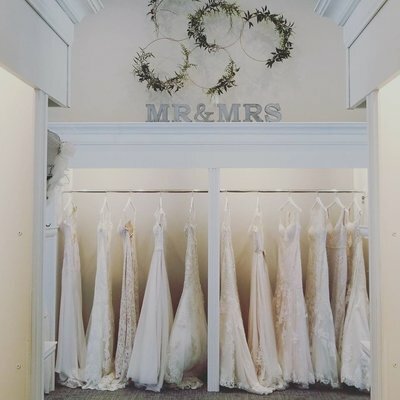 Julie’s Bridal Gallery is absolutely amazing! The people are the sweetest and are extremely helpful. 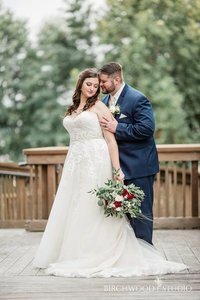 My sister walked away with her dream wedding gown for an amazing price! On top of it we were able to get beautiful bridesmaids dresses as well. Thank you Julie and your amazing team! Everyone go check out Julie’s!!!! You will never find another place quite like Julie's! Julie's was the first and only place that I looked for a wedding dress. My mom and I went up to Monroe for Julie's sample sale, and I had NO vision about what style dress I was looking for. Kim and Julie were so kind and patient while I tried on dress after dress. Kim has excellent taste, and she had me try on dresses I never would've picked out for myself until I found an Essence of Australia dress, veil, and shoes that I loved. So grateful for the experience that I had at Julie's. I would recommend to any brides-to-be looking for a gorgeous dress. Thank you ladies!